Cloth Diaper Revival: Why I'm choosing Lillebaby for baby #2! Why I'm choosing Lillebaby for baby #2! Lillebaby sent me a carrier in exchange this post. All thoughts and opinions are my own. When I had my first baby almost 5 years ago, it didn't take me long to realize that baby wearing was magical! I couldn't get anything done with a newborn that wanted to be held all the time. Forget cooking dinner or even grocery shopping in peace! So I reached out to a friend and she recommended that I get a baby carrier and start wearing my baby ASAP. What a lifesaver! 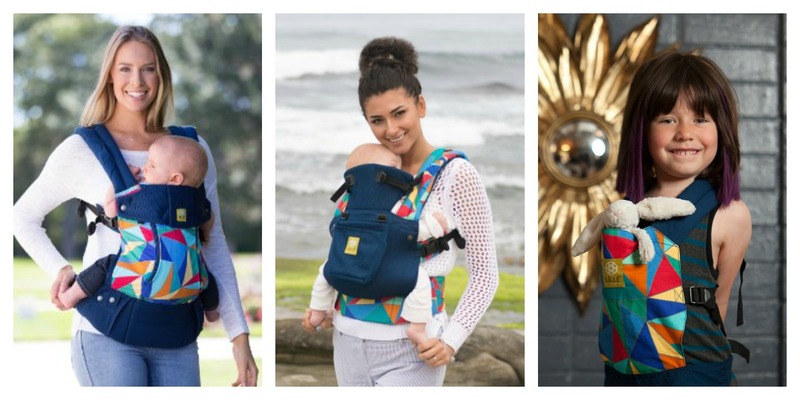 It wasn't until we were past the baby wearing stage with our son that I heard about Lillebaby Baby Carriers. The more I heard about Lillebaby, the more I wanted to try one with our future children! The lumbar support on the back was a huge selling point for me! But I also love the ergonomic design that allows for wearing the baby facing outward. Since I'm a big believer of baby wearing from birth, the ability to use the Lillebaby without a newborn insert is another huge plus! Lillebaby comes in many different styles, but as a mama in North Carolina, I love the All Seasons carrier. It's warm enough for winter and cool enough for summer thanks to the zip down panel. No more sweaty, sticky baby on those hot, humid days! Lillebaby has been on my wish list throughout all 4 years of our TTC journey. But when this carrier came out, I knew Lillebaby was the carrier for me! When our fertility plans didn't work out the way we planned and we answered the call to adoption, I couldn't wait to bond with our child through baby wearing. And when Lillebaby announced The Guncles carrier to support families adopting, I was thrilled! All proceeds from sales of The Guncles carrier will be donated to the Independent Adoption Center and Lillebaby will be matching that donation! Adoption is such an expensive journey in America and I love that Lillebaby is doing their part to raise awareness about adoption, but also to help a national non-profit that is working hard to make families a reality. The Guncles carrier is available in the Complete All Seasons or Airflow, but also as a doll carrier for your little one! This is a limited edition print, so don't wait! Help support an amazing organization while fostering your love for baby wearing! To learn more about Lillebaby, please visit their website here! And to follow along on our adoption journey, click here!